And those from low-income backgrounds are more likely to have trouble paying it back. This story about elite colleges was produced by The Hechinger Report, a nonprofit, independent news organization focused on inequality and innovation in education. The daughter of a single father who earns less than $25,000 a year, and the first in her family to go to a four-year university, Gonzales, a Sacramento native, found herself deciding among the University of California at Santa Cruz, Boston College and Cornell. Gonzales said that she knew that she was going to get “a lot better financial aid” from one of the elite, highly endowed universities that have become known for generous tuition policies that they say cover the difference between their costs and what even the lowest-income students can afford to pay. This wasn’t just her impression from reading the website; at the time she enrolled, she expected not to have to borrow. Her grandmother had given her $3,000 to help cover the difference between the financial aid she was offered and the amount the university determined she should be able to pay herself. Two years later, Gonzales, now 20 and a junior, is accumulating debt through Cornell and federal student loans that she expects to reach a “pretty steep” $16,888 that includes unanticipated expenses such as getting a single dorm room; her financial aid covers doubles, but she has a muscle disorder and wanted to live in more accessible housing. She also now has to pay her own share of the amount of tuition and fees not covered by financial aid, since her grandmother’s gift has run out. 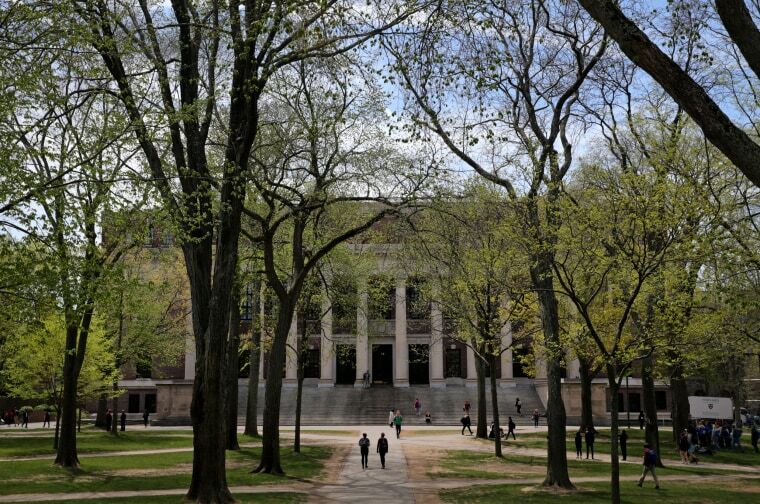 At a time when the college admissions bribery scandal is shining a spotlight on the socioeconomic divide in higher education, low-income students even at the wealthiest institutions often take on debt to finish — contrary to public perception. The reasons are many: Even colleges that say they will meet all of a student’s financial need still count on the student to contribute by working, which may be difficult for those who want to focus on academics or take unpaid internships. Then there are the costs that pop up beyond tuition, room and board — like health insurance or transportation — that may not be part of a student’s financial aid package. Colleges have also faced criticism for not taking students’ cost of living into account and for lowballing their families’ financial need by not considering their household debt, said Sara Goldrick-Rab, a professor of higher education policy and sociology at Temple University who has studied student debt. If her calculations hold true, Gonzales will owe less than $28,650, the average debt for undergraduates who borrow to attend public or private nonprofit universities and colleges, according to The Institute for College Access & Success. And with a degree from Cornell, she’s more likely than the average college graduate to earn enough to cover that debt. But students like Gonzales from low-income families who overcome the odds and are admitted to elite schools often expect to graduate with no debt at all, given the way many of those institutions phrase their widely publicized promises of generous financial aid. Yet the federal Department of Education reports that 19 percent of students at Penn have to borrow, along with 11 percent at Yale and 4 percent at Harvard. At Amherst College, which describes its financial aid policies as “among the most generous in the nation,” the figure is 17 percent; at Northwestern, 27 percent; and at Stanford, 10 percent. This is happening in part because, pressed to admit more low-income students, the institutions “artificially understate the actual need that the students have and claim to meet it, while also claiming that if a student takes debt, that's because of poor choices,” Goldrick-Rab said. Part of the reason for the gap is that universities take into account family income but not household debt, Goldrick-Rab said, even though many working families have outstanding car and other consumer loans. Meanwhile, the living allowances for which a fifth of universities and colleges tell all students to budget are at least 20 percent lower than what they’ll actually need for a modest standard of living, even when these expenses are shared with roommates, according to research Goldrick-Rab co-authored; those are the costs for which students at elite schools say they’re most often forced to borrow. Institutions “are assuming a student can live on $300 a month when the reality is $600 a month,” Goldrick-Rab said, and that doesn’t necessarily account for books, materials and travel expenses. Gonzales had to take out loans for room and board beyond what was covered by her Cornell financial aid package, and for mandatory health insurance. Because she took a high school internship with the Sacramento city government that paid more than minimum wage, and assuming she was saving everything she earned, the university also expected her to pitch in $3,100 a year, on top of a required work-study job. Her grandmother’s gift covered this her first year, but she has had to borrow after that to cover it. She said money she made working over the summer went to food, transportation and paying off credit card debt. Although a Cornell spokesman, John Carberry, said he couldn’t comment on individual cases like Gonzales’, he said students from families earning less than $60,000 a year are not expected to go into debt, and the university has programs to help low-income and other students deal with financial challenges that may arise once they’re enrolled. Some at higher-income levels may borrow toward expenses, as well as a few low-income students who don’t take advantage of the special help available to them, he said. Ray LaMotta’s mother works at George Washington University, and her job meant her children would get free tuition there. So although they’re not low-income, she and her husband never put aside any money for LaMotta’s college education. LaMotta said he had to pay $7,500 a year toward tuition, fees and other costs, which he split with his parents. He earned $2,500 by working at a summer camp and, in his freshman year, by cleaning dorms 20 hours a week. He recalled the experience as not so much stigmatizing as much as lonely and mind-numbing — not to mention time-consuming. In his sophomore year, LaMotta took a job with more hours and less pay at a student theater, but grew tired of how the work affected his social life. He took out loans and graduated from Harvard in 2017 $22,000 in debt. Rachael Dane, a Harvard spokeswoman, said that while 70 percent of undergraduates receive some form of aid, many are expected to contribute by working during the year or in the summers, on- or off-campus. “While loans are not required, some students choose to borrow and thus would graduate with debt,” Dane said. For some students, taking work-study or summer jobs is also not logistically possible because they are taking care of relatives or can’t fit it into busy academic schedules. It also can affect their academic performance, she said. Research shows that students who work while in college are less likely to graduate on time, or at all. Griffen Croft, 20, a sophomore at the University of Pennsylvania, grew up in the rural northwest Ohio community of Spencerville, the son of parents who didn’t go to college. But Croft didn’t get much financial aid — his parents make too much money to qualify as low-income because they own their own businesses, the school found, but Croft said the businesses produce only modest profits. His mother is an ultrasound technician and his father is a lineman for an electric company who owns a 100-acre farm and a small plane he rents out. Croft has borrowed $30,000 this academic year alone and expects to need still bigger loans next year. “I'm going to get a good job out of college; I should have no issue paying back the loans,” he said. To do this he plans to work in investment banking or consulting for a few years. Among those who took out loans at elite institutions, the median debt of graduates who were also eligible for federal Pell Grants — which are given to students whose families earn around $40,000 a year or less, and are a commonly used measure of low-income status — ranged from $3,895 at Princeton to $25,738 at Columbia, according to the Department of Education. More than 70 percent of all students at the top 20 U.S. News and World Report-ranked universities who borrow have begun to repay their loans within three years of the debt becoming due, compared to the national average of 55 percent, according to the Center for American Progress. But children from lower-income families who graduate from these elite schools are still more likely than their classmates from higher-income families to default. LaMotta and Gonzales said their circumstances show how elite universities’ policies affect students beyond graduation. Gonzales wants to become a teacher in California. “But debt makes a difference in what you’re going to go into,” she said. “It’s like these things are incongruent, education and what people expect from you — the things you’re expected to do to further your career — and then you’re penalized for it,” Gonzales said. LaMotta is making about $60,000 a year working in human relations in northern Virginia. He said that he expects to take a decade to pay off his debt, and that the experience has made him more financially savvy. Goldrick-Rab said the phenomenon of students incurring debt at elite colleges with multibillion-dollar endowments is happening against a backdrop of public and political pressure for these institutions to accept more students from low-income families.